Record Group 26 in the National Archives includes only a few sources for letters from keepers. You can sometimes find them as attachments to letters written by custom collectors and district inspectors and engineers to their superiors in Washington. A few letters from keepers also survive in field records. 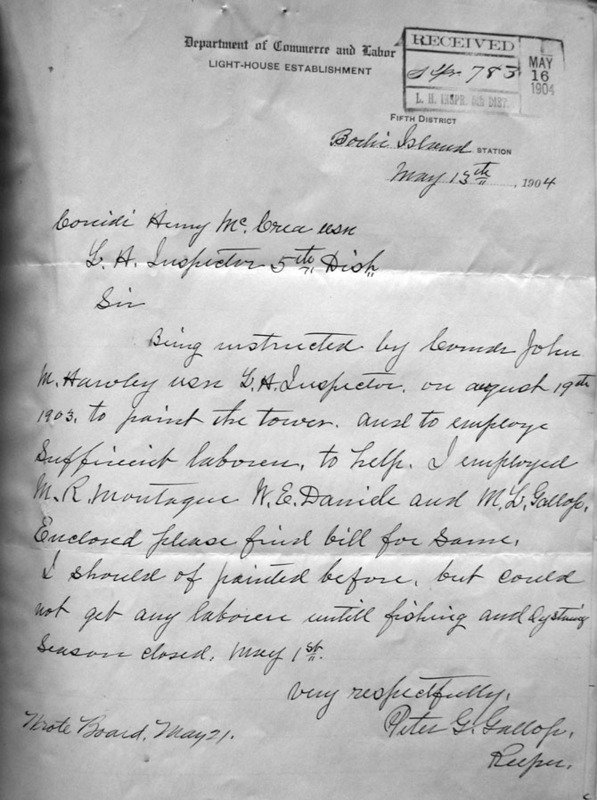 The letter pictured above is part of the “K Series letters” in Entry 3 (NC-63) “Records of Fifth Light-House District (Baltimore), 1851-1912.” Keeper Gallop is writing his supervisor, the 5th district inspector. Note the inspector’s notation at the bottom left that he has written the U.S. Light-House Board. This entry was posted in Books, Historic documents, Lighthouse keepers, Research and tagged Bodie Island Lighthouse on March 11, 2014 by lighthousehistory. Thank you, Candace, for posting this. It was fascinating gathering the family stories and Sandy did an outstanding job on the genealogy. But, oh my, what paperwork! It was worth it because the homecoming was memorable and all the families that attended were such fun. Please note that Diana’s email is diandmanda@aol.com. 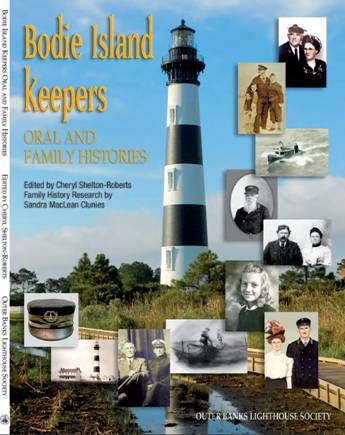 We have copies available and all profit goes to the Outer Banks Lighthouse Society.